The aim of this article is to highlight the role of consciousness as a survival strategy in a complex multi-agent social environment. Clinical approaches to investigating consciousness usually center around cognitive awareness and arousal. An evolutionary approach to the problem offers a complimentary perspective demonstrating how social games trigger a cognitive arms-race among interacting goal-oriented agents possibly leading to consciousness. We begin our discussion declaring the functions that consciousness serves for goal-oriented agents. From a functional standpoint, consciousness can be interpreted as an evolutionary game-theoretic strategy. To illustrate this, we formalize the Lotka-Volterra population dynamics to a multi-agent system with cooperation and competition. We argue that for small population sizes, supervised learning strategies using behavioral feedback enable individuals to increase their fitness. In larger populations, learning using adaptive schemes are more efficient. However, when the network of social interactions becomes sufficiently complex, including the prevalence of hidden states of other agents that cannot be accessed, then all aforementioned optimization schemes are rendered computationally infeasible. We propose that that is when the mechanisms of consciousness become relevant as an alternative strategy to make predictions about the world by decoding psychological states of other agents. We suggest one specific realization of this strategy: projecting self onto others. 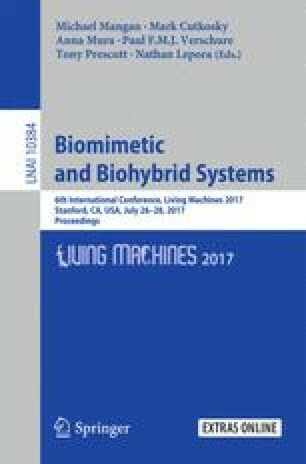 This work has been supported by the European Research Council’s CDAC project: “The Role of Consciousness in Adaptive Behavior: A Combined Empirical, Computational and Robot based Approach” (ERC-2013- ADG 341196).